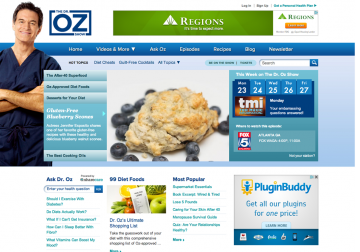 One of the tasks I handled for the Doctor Oz site was implementing a major redesign. I accomplished this with a minimum of changes to the site’s HTML, and handled almost all of the changes through CSS and new images from the creative team. I was also involved in rewriting the ‘Where to Watch’ module, and helped other team members make improvements to the layout and styles for other areas of the site. Additionally, I added OpenGraph metadata throughout the site to improve the experience of sharing links on services like Facebook, Twitter, and Google+.